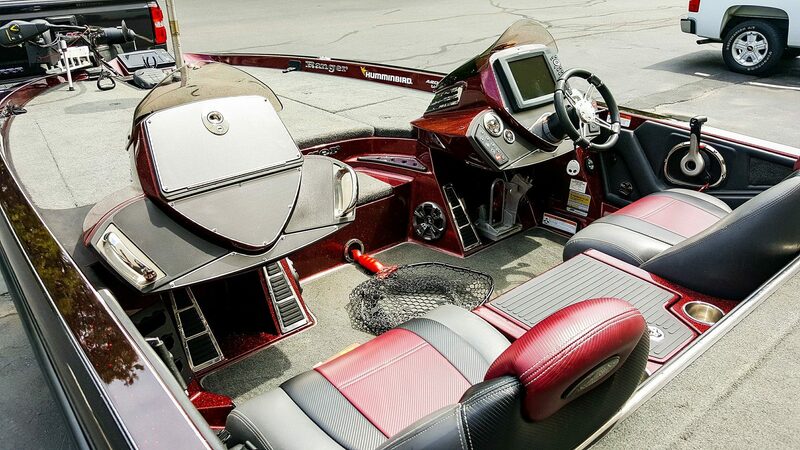 There’s nothing like hitting the water for fishing, tubing, or pulling up to the sand bar in a clean and shiny boat. However a lot of boat owners are intimidated by the scale of job with the amount of surfaces that need to be attended to. 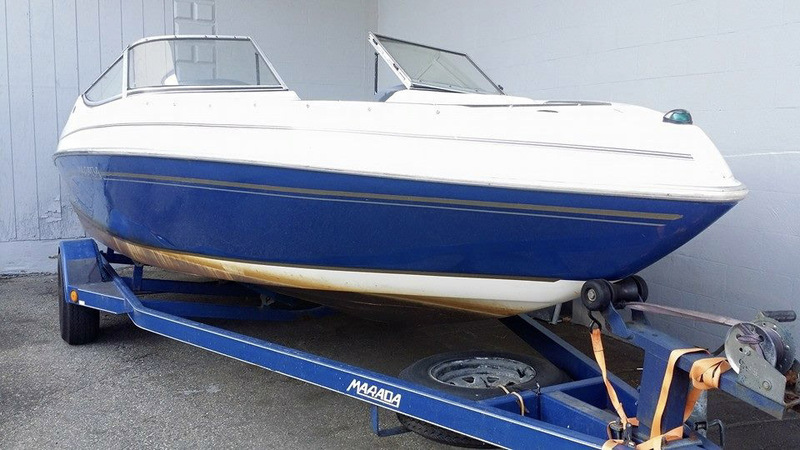 This is why our clients trust us with their watercraft’s, whether it be simple maintenance washes, restoration, and/or having any of our ceramic coatings applied for protection. Please note that all the prices listed are starting prices for open top water craft and jet skis. Closed Roof, Cabins, as well as items that take considerable time such as excessive amounts of oxidation, mold, staining would be additional. When calling for pricing, it helps to be as honest as possible to get a accurate price. Final price is established once the craft has been evaluated in person to determine final condition. 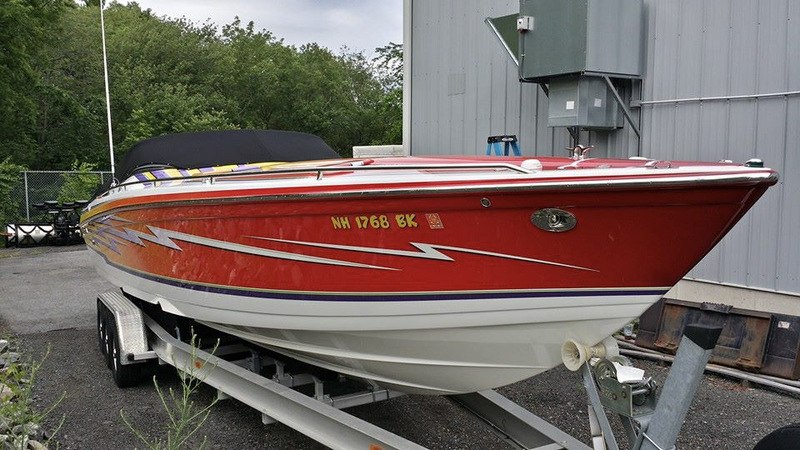 Full interior and exterior service to get your watercraft ready regardless if it the start of the season or just before you put it away for the winter. 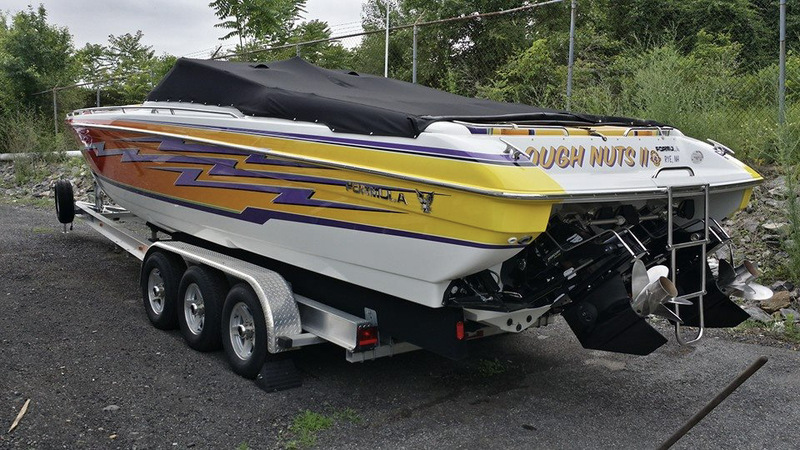 If the boat is delivered and remains on a trailer, we will treat every surface that is not blocked by runners or the trailer itself. We are not set up to remove boats from trailers. If the client has stands, we’ll work with the client to use them, set up, and take down once complete. Polishing Step of Hull Side, Bottom, and Gun Whales. We do not just clean the interior, we also take the time to protect the interior surfaces. With constant exposure to the sun, vinyl, leather, and fabric can fade, crack, and bleach. 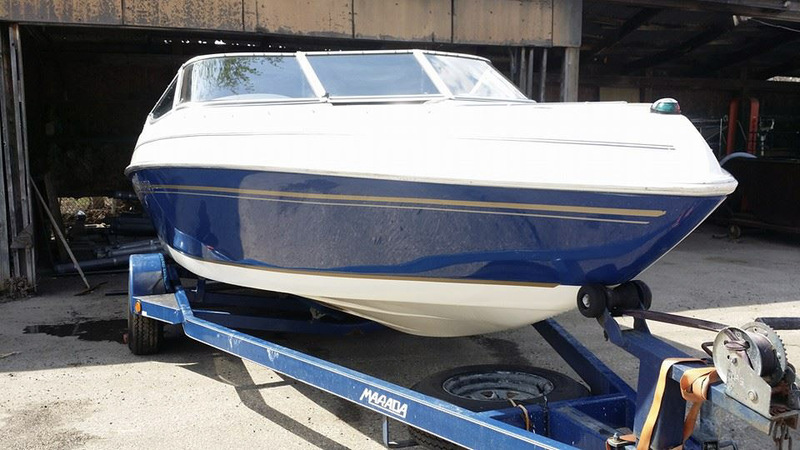 The UV inhibitors protect these surfaces from harmful UV rays keeping your boat looking newer, longer. Starting at $15 per foot. Gel-coat has a bad tendency to oxidize, fade, and become chalky when exposed to constant UV from both directly from the sun and the reflection of the sun unprotected. Level I allows us to protect the finish, preventing the spread of oxidation and fading. Level II allows us to remove the damaged layers while laying down proper protection to carry through the season. Below we have conveniently listed our Ceramic Coatings as well as our Glass Coatings. Our Glass coatings offer improved appearance with a thicker finish to offer significantly better protection against the elements, the sun, and sand. Prices are broken down by the foot for easier estimates. Prices listed are for the coatings alone, any prep would be additional. 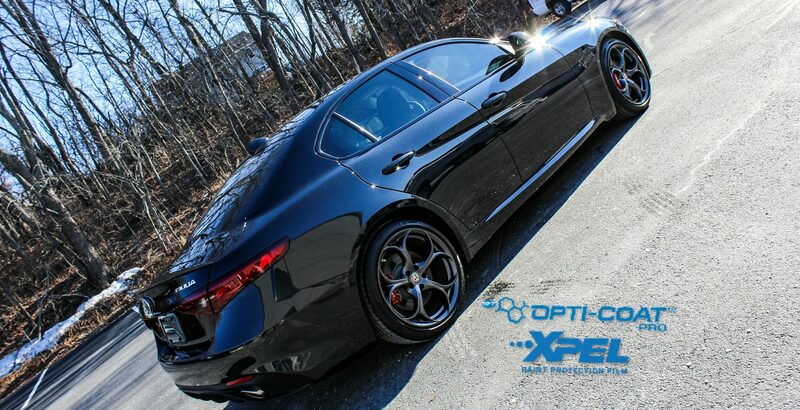 The perfect coating to receive the benefits of a ceramic coating without breaking the bank. Although not as durable as Opti-Coat Pro or the subsequent glass coatings, Paint Guard offers great UV protection and water shedding abilities to keep your finish looking newer longer. 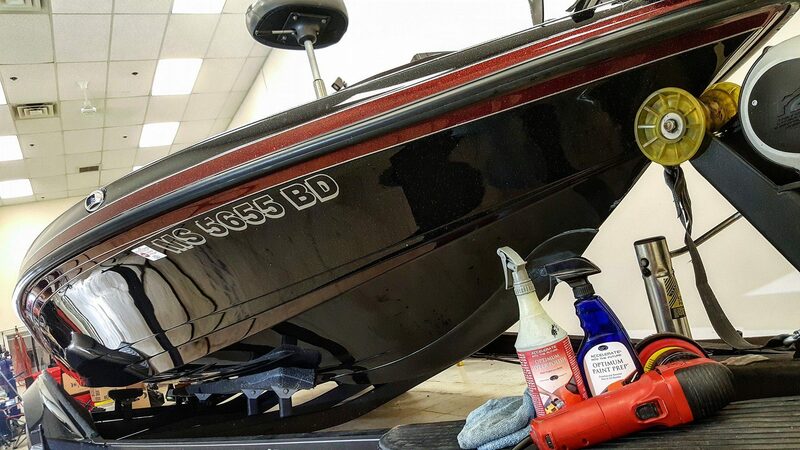 Opti-Coat Pro offers exceptional long term protection for your crafts gel-coat finish. Opti-Coat Pro directly holds off oxidation preventing that chalky look and feel. Modesta BC08 is our premier semi permanent glass coating. Our glass coatings offer superior improvements in gloss and clarity without sacrificing from the protection of our ceramic coatings. Modesta BC04 is a thicker, more concentrated glass coating allowing for longer durability. Our glass coatings offer superior improvements in gloss and clarity without sacrificing from the protection of our ceramic coatings.